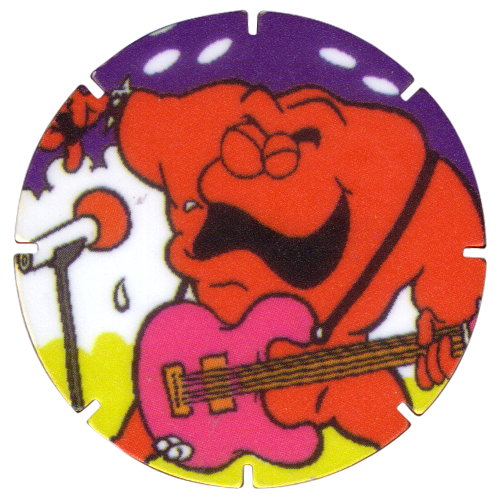 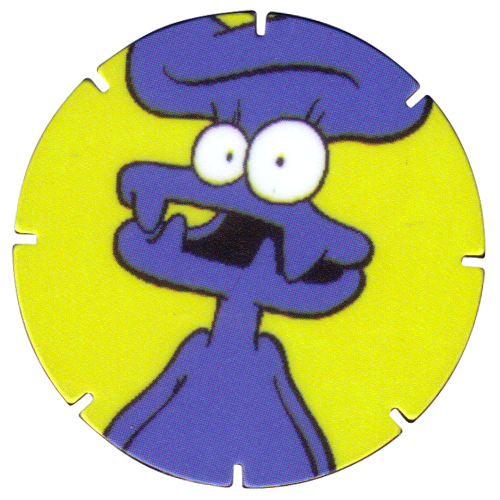 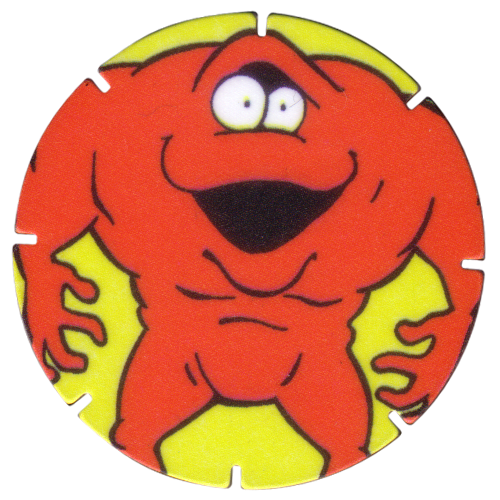 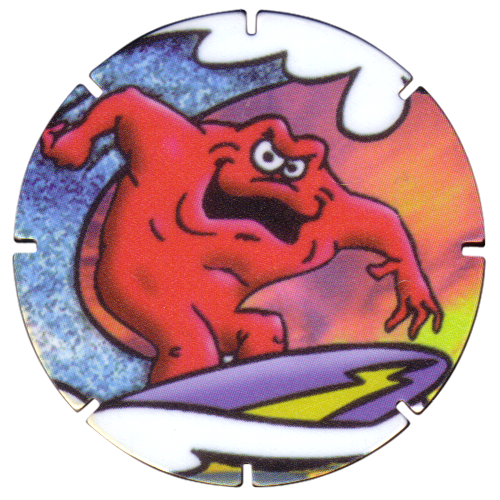 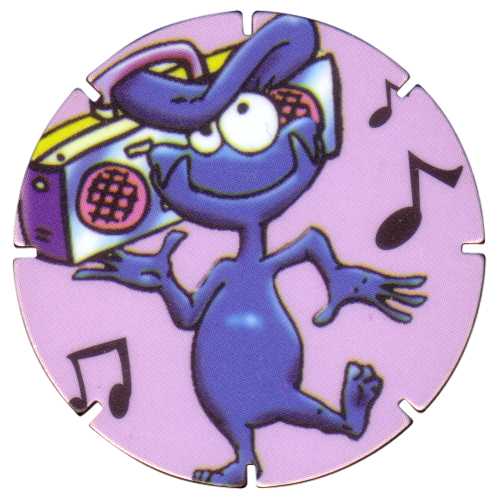 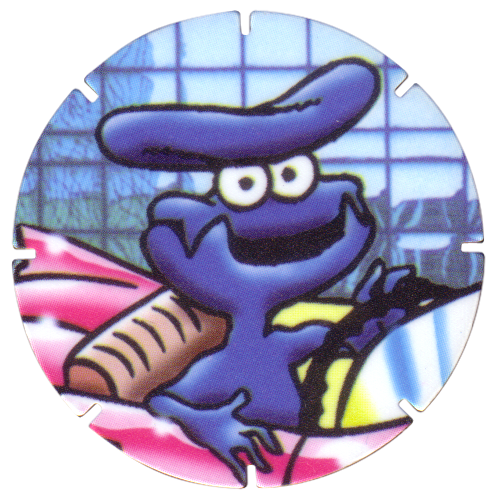 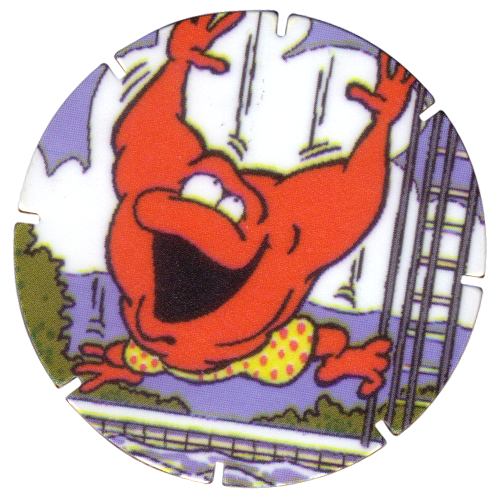 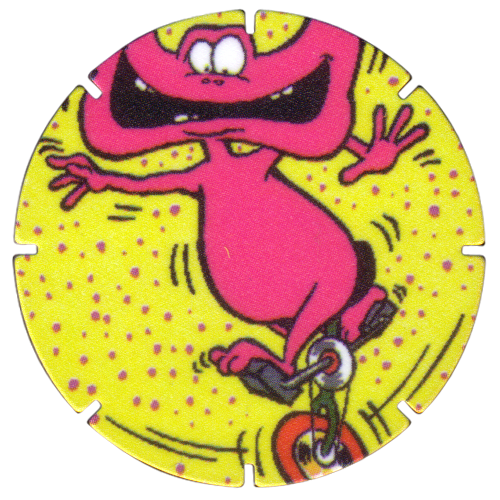 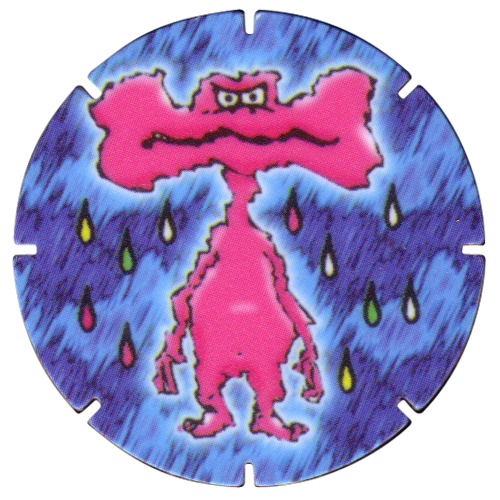 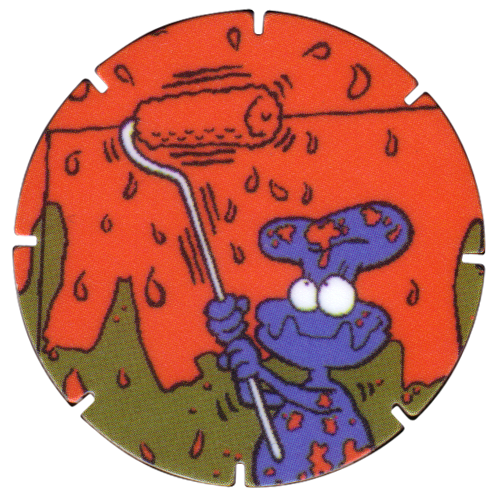 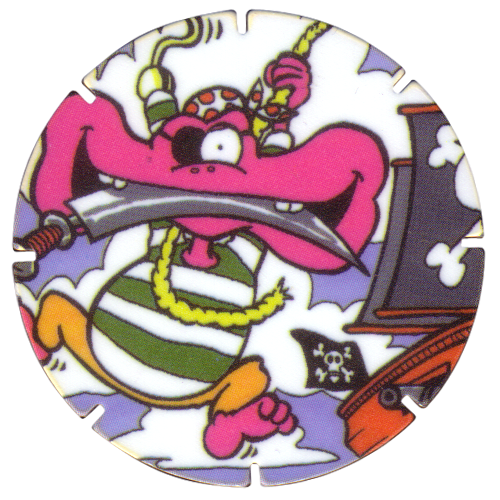 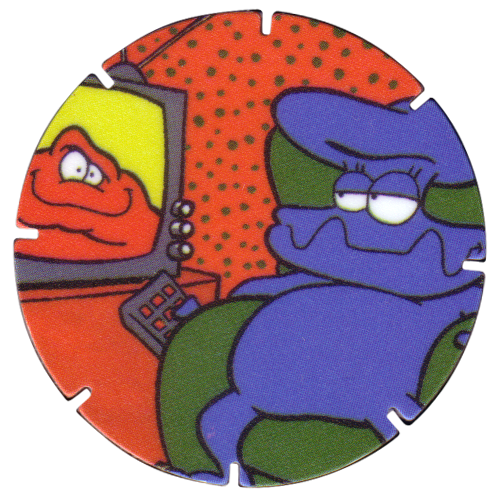 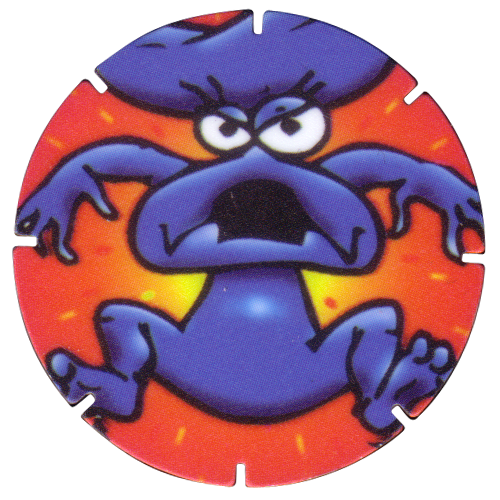 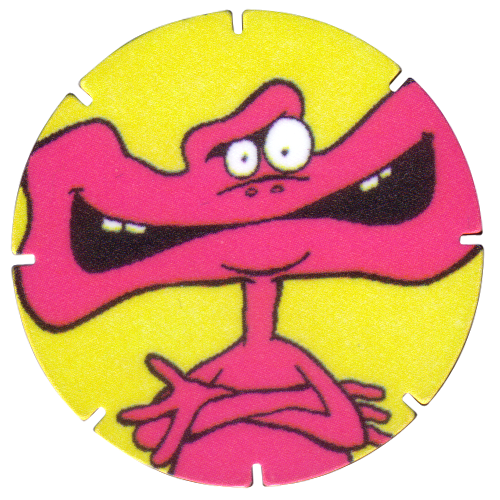 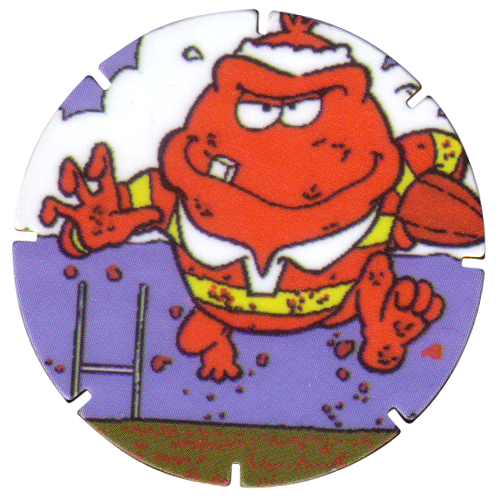 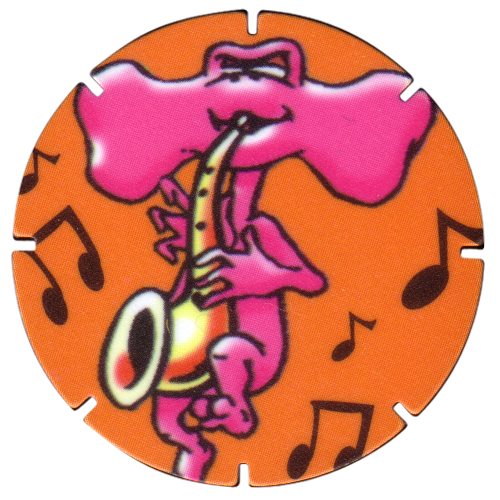 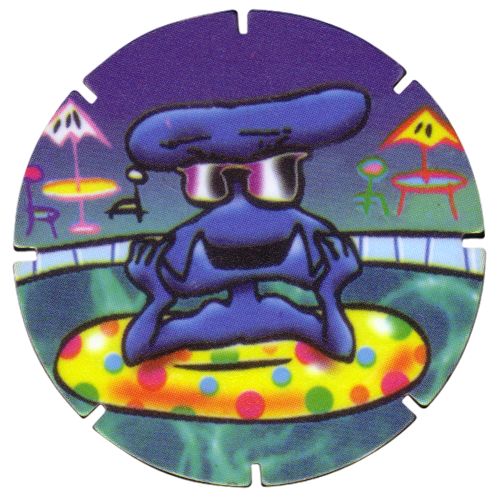 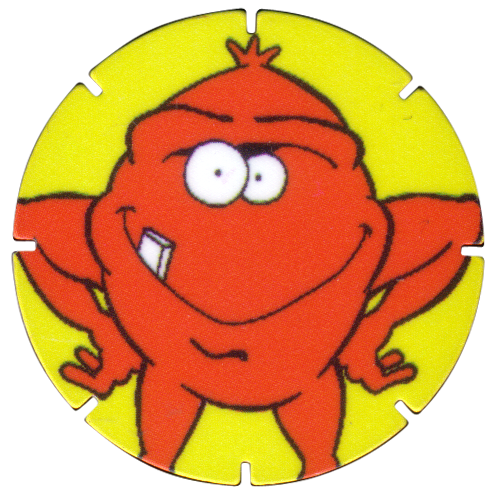 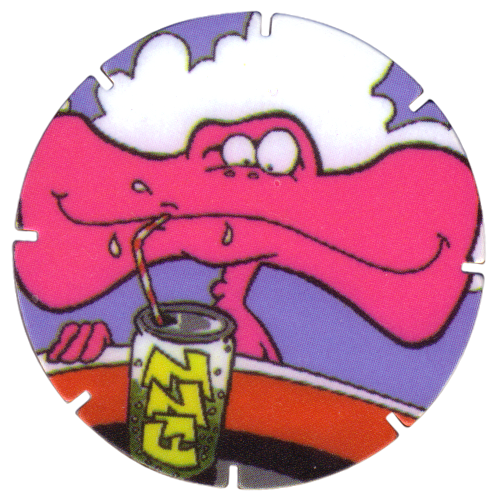 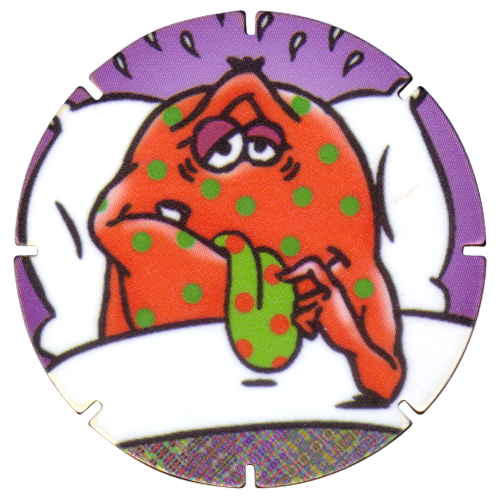 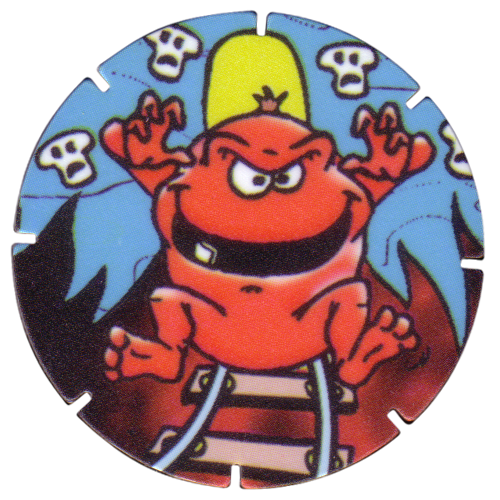 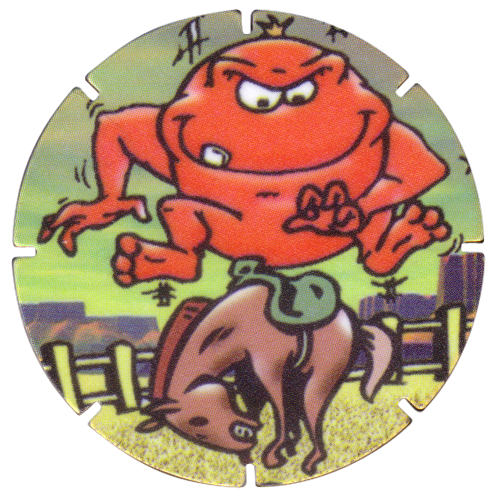 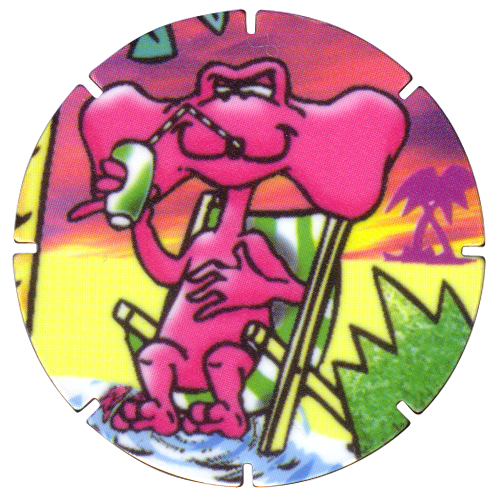 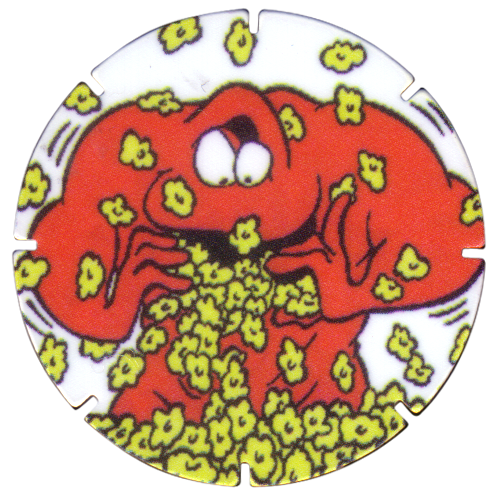 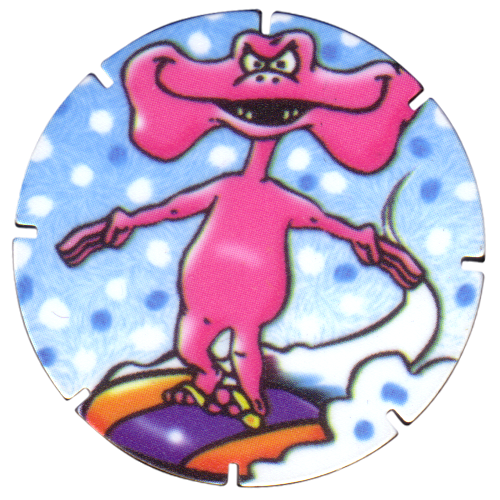 Info:These Tazos were given away in packets of Monster Munch during part of 1996. 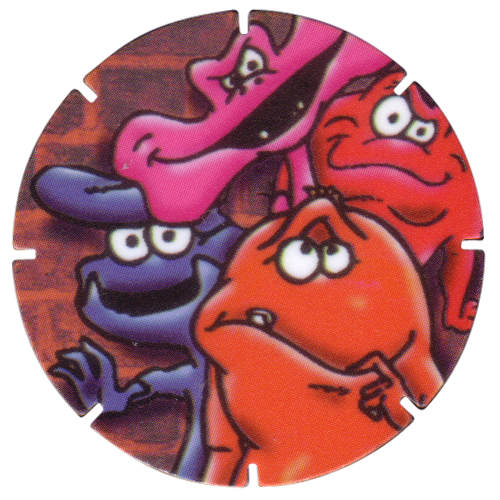 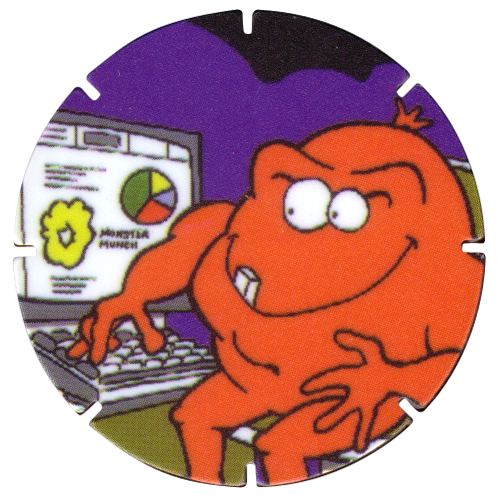 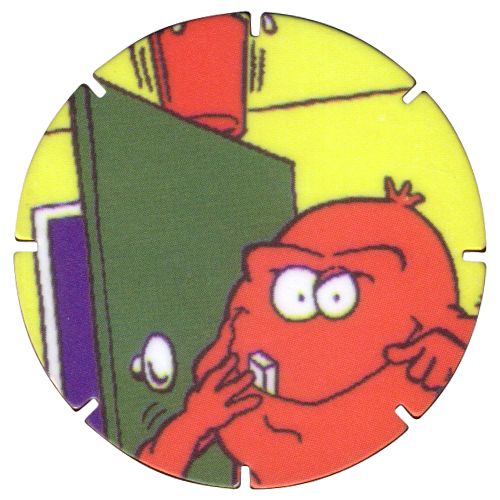 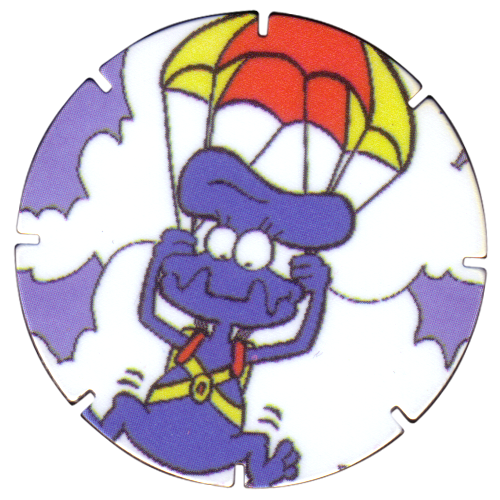 They feature the different Monster Munch characters doing various things. 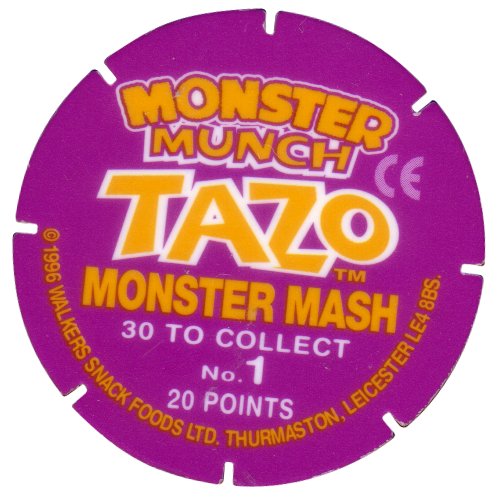 On the back of each Tazo it has a name for the monster, relating to what the monster is doing on the front. 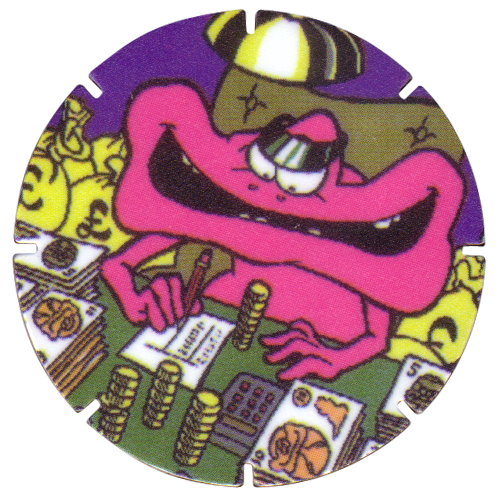 It also has a point score, which ranges from 1 - 4 points.